Dental health is a very important part of your pet’s overall health. Dental problems can cause, or be caused by, other health problems. Your pet’s teeth and gums are checked during their yearly exam to help detect early signs of a problem. But dental health issues can arise quickly, especially in small breed dogs, so be sure to have your pet checked if you notice any signs of dental disease such as: bad breath, broken or loose teeth, reduced appetite or refusal to eat, or swelling in or around the mouth. 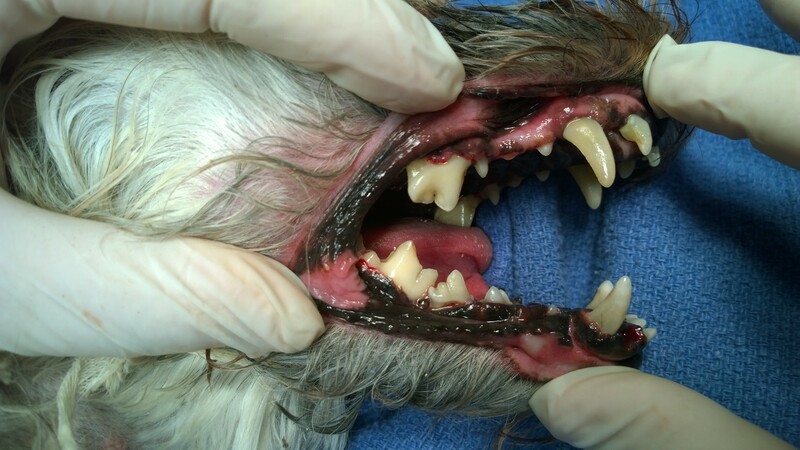 Dogs and cats over the age of three are 70-80% more likely to suffer from some form of dental disease. 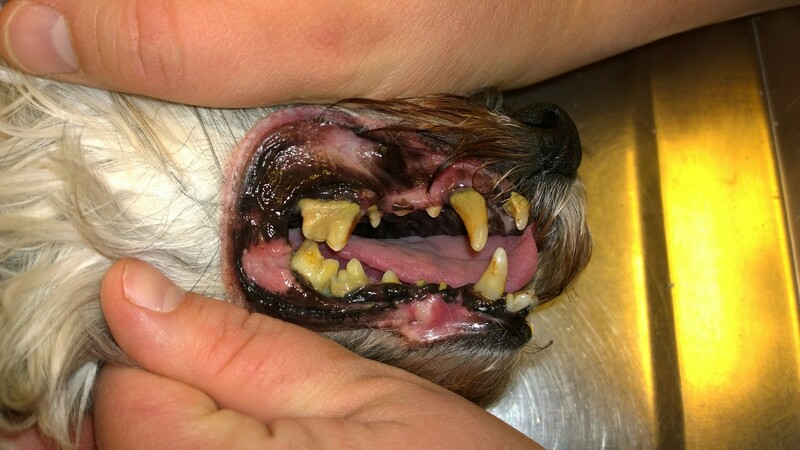 If left untreated, periodontal disease can cause severe problems and pain for your pet. The most effective way to protect your pet from dental disease is to have their teeth professionally cleaned. During your pet’s dental, our veterinarians and technicians use many of the same tools that human dentists use. We start by removing tartar buildup with an ultrasonic scaler, then we polish the teeth to help clean off stains and create a smooth surface which helps slow the accumulation of new tartar. We finish with an antmicrobial rinse to cleanse and help rid the mouth of bacteria and freshen breath. There are also easy steps you can take at home to keep your pet’s teeth and gums healthy, such as brushing their teeth and using special dental treats to help minimize tartar buildup. Call us at (304)645-3550 today to talk about whether your pet would benefit from a dental procedure!